ShopSmart Magazine 1 Year Subscription Only $14.96 (Reg. $49)! You are here: Home / Great Deals / ShopSmart Magazine 1 Year Subscription Only $14.96 (Reg. $49)! Yay! I am so excited to share with you that this hot magazine deal is back! 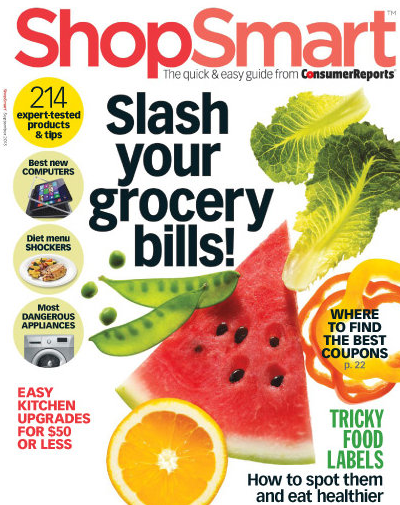 You can grab a ShopSmart Magazine 1 Year Subscription for just $14.96 (Reg. $49) when you use coupon code 7445 at checkout! This is a sister magazine to Consumer Reports, and is loaded with tons of way to SAVE money and get the most bang for your buck! This offer expires tonight 11/20 11:59 PM EST.